Every kid likes to ham it up once in a while. That’s why they’ll love the taste of our Black Forest Ham and their favorite veggies on freshly baked bread. Apple slices and an ice cold bottle of low-fat milk or Honest Kids make this better-for-you meal a star. 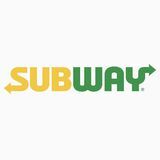 Subway Fresh Fit for Kids® meals are prepared in front of you and are not a diet program.